First why do you need your own work space? Suppose you have determined that you either want or desire your own work space. Is the work you are going to perform just for fun or is it work you need to earn money for living expenses? Another consideration would be the type of projects you need the space for. Are you doing something such as beading and concerned that little ones may get into your materials? If the work space is of necessity and not just pleasure or if the items are hazardous to little ones, then you may want to remove yourself from the main living area of your home and locate yourself in a remote area. If you are a writer, for example, today’s technology makes it super simple to be completely portable. With internet access popping up in various places all over the country, one can work anywhere they can bring their lap top too and find a connection. Libraries, Mac Donald restaurants, and coffee shops are just a few. Some cell phones also can provide you with an internet connection not only on your cell phone but on your lap top as well making the possible work areas almost limitless. Another big consideration is storage. If, for example, you are a writer or photographer, and your work space requires an area for storage, technology also provides a welcome answer to that dilemma. 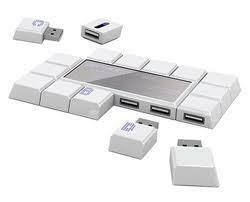 Jump drives or flash drives come in all shapes and sizes, most small enough to fit in your pocket. Prices are reasonable and a large amount of data can be stored and accessed in seconds. No need to load your computer with extensive files when you can carry one or more flash drives so easily. If the data is super sensitive and you need to protect it you can also download a copy on a spare flash drive and leave it in your safety deposit box. Hide your office in a cabinet. This particular sewing cabinet can be used for almost any type of craft desired, and when not in use closes completely to display only a cabinet; with all the materials needed for the craft safely tucked inside and out of reach of little hands. Mom can open this up when baby is down for a nap and close it back in minutes. 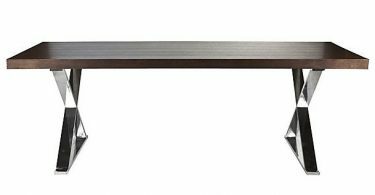 This cabinet represents only one of many offered and they come in different colors and sizes to best fit your home décor. 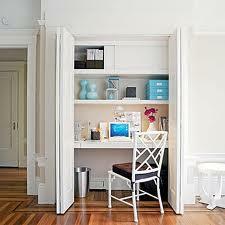 Create your work space in a closet. Many closets are large and roomy, but a work space does not need to be enormous to allow you the space you need to get your work done, just well organized. 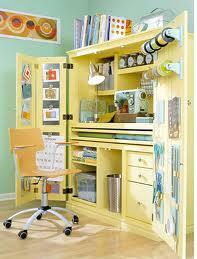 Having all the items needed in one place makes the work area just that much more efficient. No need to hunt down the materials and waste valuable time, plus the area is small enough to hide and large enough to be useful. 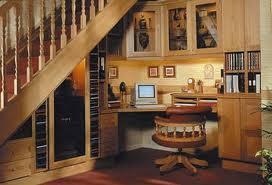 Do you have a stairway in your home? Often times there is unclaimed space below the stairway landing just begging to be put to better use. This makes for a cozy little work area away from the mainstream traffic in the home and the distractions of the television where someone can claim a minute or two to get something done. When you create your own work space and add your own special little touches work will become more enjoyable and you will be more efficient at your task. Marina is a freelance writer and writes about specialty home décor products like – wall clock, etagere, decorative mirrors, hall and foyer tables and lot more.